I schedule an annual instrument proficiency check before the Pacific Northwest skies turn gray as fall arrives. 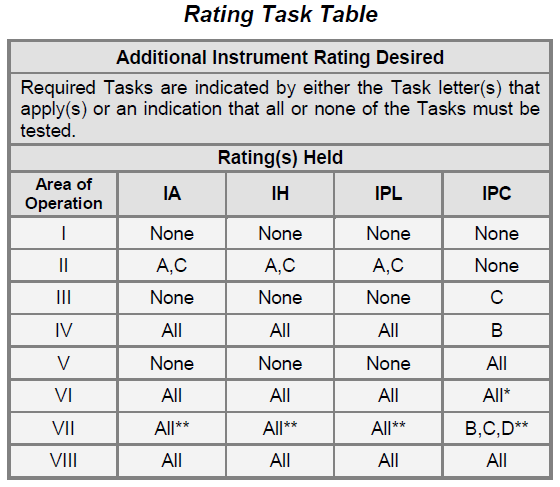 The tasks that you must accomplish to complete an IPC are outlined in the practical test standards for the instrument rating and in an appendix to Instrument Proficiency Check (IPC) Guidance, published by FAA. 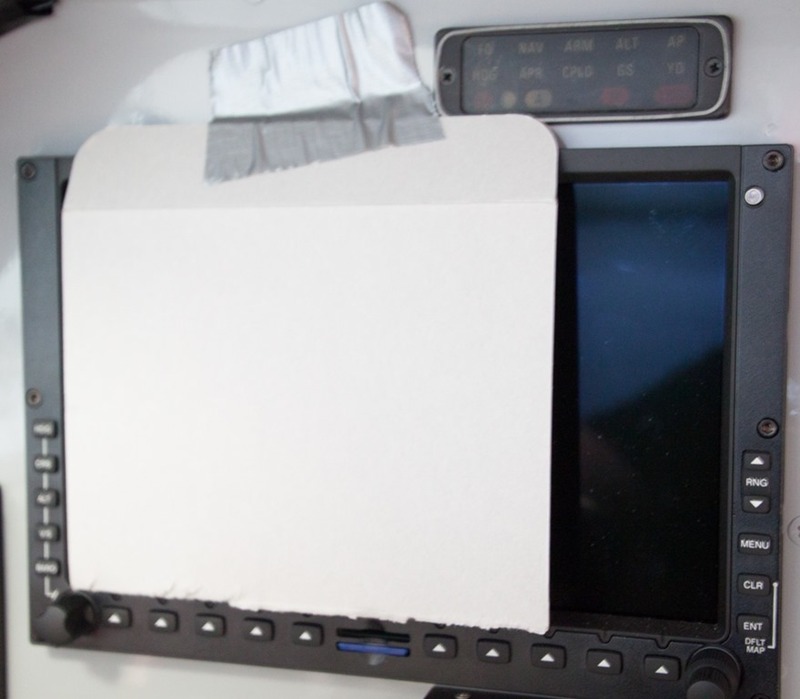 In an airplane with conventional instruments (the so-called steam gauges), the instructor covers the attitude indicator with a suction cup, business card, or sticky note. Like many pilots, however, I’ve updated my instrument panel. It now features a Garmin G500 electronic display that replaces six traditional primary flight instruments (airspeed indicator, attitude indicator, altimeter, vertical speed indicator, heading indicator, and turn coordinator). I have a backup attitude indicator, ASI and altimeter in the self-contained Mid-Continent SAM. Now, avionics manufacturers and the FAA have advised against pulling circuit breakers to simulate failures of electronic displays and the behind-the-scenes gizmos that drive them (e.g., attitude-heading reference systems). Plastering expensive displays—especially touch-screens–with sticky notes isn’t a good idea. 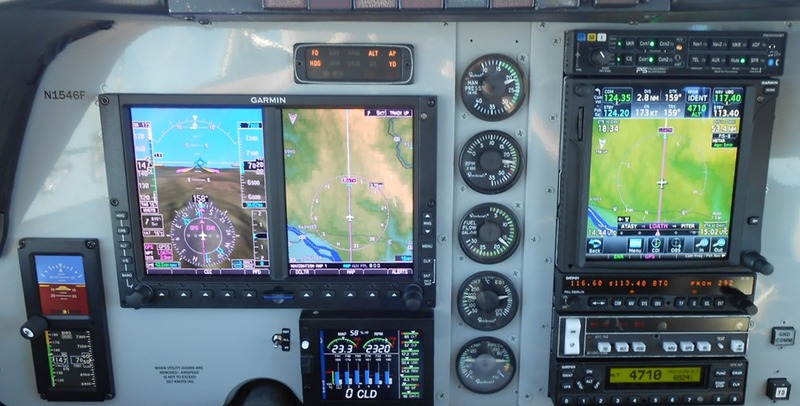 So, how to simulate the failure of the PFD (the left side of the G500)—or, indeed the entire GDU 620, the two-panel display that shows the flight instruments and a map? Cessna does not recommend pulling circuit breakers as a means of simulating failures on the Garmin G1000. Pulling circuit breakers—or using them as switches—has the potential to weaken the circuit breaker to a point at which it may not perform its intended function. Using circuit breakers as switches is also discouraged in Advisory Circulars 120-80, 23-17B, and 43.13-1B. Additionally, a circuit breaker may be powering other equipment (such as avionics cooling fans) that could affect the safe operation of other equipment. For the map side, it’s easy—select a page that shows, say, A/FD information or one of the AUX pages. They’re useless as references during an approach. 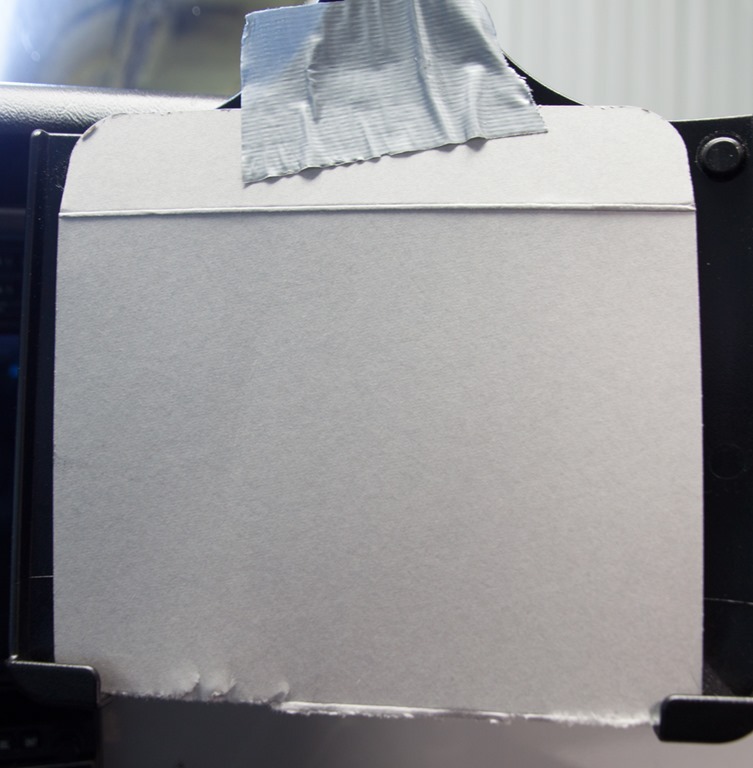 After much deep thought, I came up with the following solution for the PFD side: A piece of cardboard taped above the display. Here’s the item lying in wait in the holder that I use for my iPad. And here it is in place, covering most of the PFD. Inelegant to be sure. I’ll trim it to size next time. But it’s simple, non-destructive, cheap, and easy to put in place and remove. In a aircraft used primarily for training, I’d consider a strip of Velcro above the PFD. If you wanted to “fail” just the attitude indicator and leave the ASI, altimeter, VSI, HI, CDI, bearing pointers, and other information visible, you could trim the cardboard so that it covers only the AI portion of the PFD. Today, however, I wanted to simulate a complete failure of the GDU 620 to see how well I could fly an approach using the SAM and the navigation information on the GTN750 and the chart on my iPad. Per the PTS, I was flying a non-precision approach, so I didn’t need a glideslope indicator. To set up descents on each segment of the approach, I applied the Pitch+Power+Configuration=Performance equation, knowing that at a specified power setting and pitch in a given configuration (flaps and landing gear positions), I would descend at approximately 600 fpm at a stable airspeed. Tracking the courses was a bit more difficult than when using the HSI, but this was a simulated emergency, so I used all available sources, including the depiction of my airplane on the GTN750 moving map and the approach chart displayed (via ForeFlight) on my iPad. By making small, coordinated turns based on the SAM, I never wandered more than about a dot off the centerline of any segment of the approach. The graphical information made meeting altitude restrictions easier. And the trend vectors that show how your current track relates to the required course were also a big help in making smooth, small heading changes. I plan to use this high-tech failure simulator in the future when I practice flying instrument procedures (in VMC, of course) to maintain my proficiency. Note that this device would also work well in ATDs and FTDs that feature glass cockpits. "The AIM is not regulatory" is an often-heard refrain among pilots and flight instructors. And technically, of course, that’s correct. This publication, while not regulatory, provides information which reflects examples of operating techniques and procedures which may be requirements in other federal publications or regulations. It is made available solely to assist pilots in executing their responsibilities required by other publications. However, when aviators say, “The AIM is not regulatory,” they generally seem to argue that the procedures and guidance in the AIM (and related FAA publications, such as advisory circulars), are suggestions that pilots, at their discretion, may adopt or ignore. …In older NTSB cases, both the FAA and the airman have used sections of the AIM to assess whether an airman’s conduct was in violation of the FAR or not. For example, an airman attempted to justify a right turn during his approach to the airport as part of a "straight-in" approach as set forth in the AIM. But the case did not rely on the new statutory language of deference. In a more recent NTSB case involving a pilot’s misunderstood readback of an ATC instruction that ATC failed to correct and which resulted in an altitude deviation, the NTSB found that because the pilot acted as best he could to understand and comply with the ATC instruction, he could not be held responsible for the deviation. But the FAA appealed the NTSB’s decision to the Court of Appeals, which held that the NTSB must defer to the FAA’s interpretation that the pilot is responsible for accurately understanding and complying with an ATC instruction absent an equipment malfunction or an emergency. The court sent the case back to the NTSB, which then had to find the pilot in violation. These cases suggest that you may be held responsible for complying with FAA guidance. Or, you could find yourself defending against an interpretation of a regulation that the FAA announces, for the first time, in response to your conduct. In any event, while it may not be a regulatory requirement to comply with any FAA written guidance, you can certainly expect any such guidance to be used in a FAA enforcement case. And, you can expect that the NTSB will be bound to defer to the FAA’s interpretation of your conduct as a violation of the FAR, unless you are prepared to show the FAA’s interpretation to be arbitrary, capricious, or illegal. So, while it’s true that guidance in the AIM is, technically, just that–guidance–the information in the AIM, ACs, etc. isn’t just the FAA’s suggestions or a matter of procedure. If you choose to invent techniques for complying with the letter of the regulations, you may find the "AIM isn’t regulatory" a weak defense. This short video shows you a barrel roll from several perspectives. First, you watch it as I cut between different cameras; next watch the entire maneuver from the wingtip perspective; finally, you see the complete roll from my perspective in the rear seat of the Extra 300L. As I explain in the video, this barrel roll is not the textbook maneuver. Typically, you start a barrel roll by offsetting the nose 45 degrees left or right of a reference. Then you pull up and roll around that reference point. I use this modified barrel roll (which is similar to those flown by formation teams such as the Blue Angels, Thunderbirds, and Snowbirds) with students to help them become accustomed to all-attitude flying, develop awareness of how 3-4G feels, and to fly the airplane throughout its speed range. Because it’s a slow, graceful maneuver, students have lots of time to watch the roll develop, and it’s a smooth, coordinated maneuver throughout. More videos on my YouTube channel, BruceAirFlying.